Are you guys ready for something seriously delicious and nutritious!? 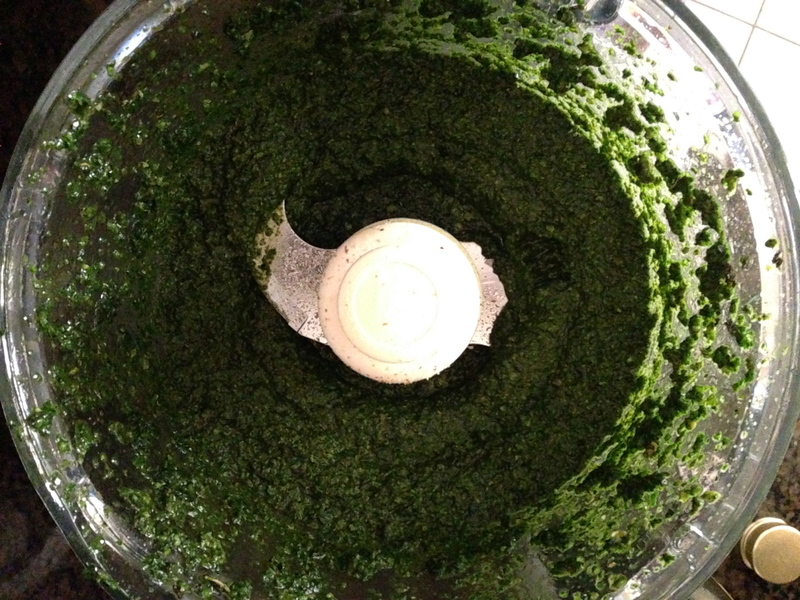 Because this pesto brings some real flavor AND offers the body and mind some really magical health benefits! 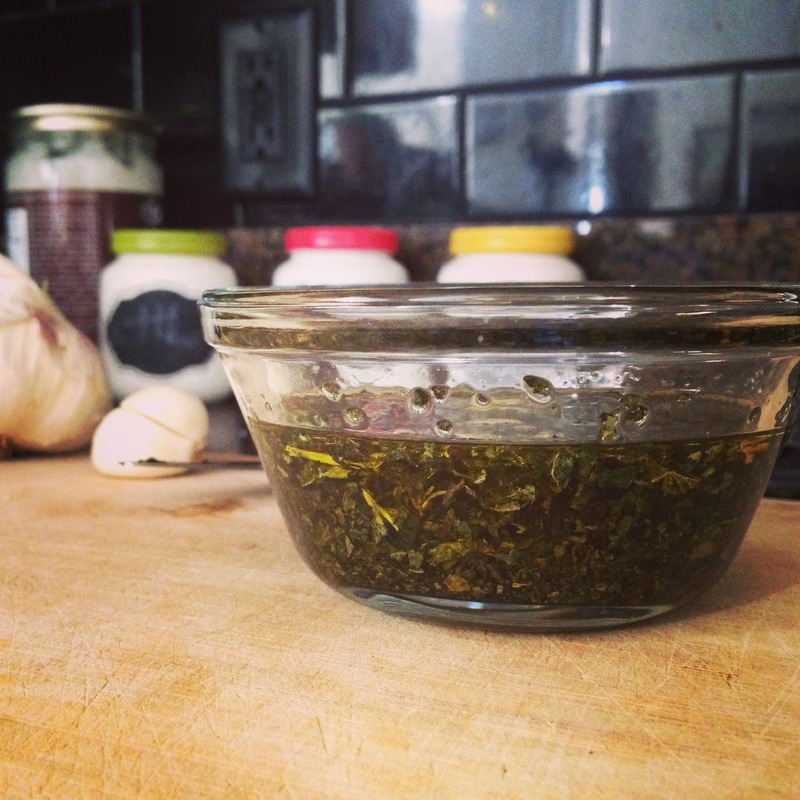 In a small bowl, mix dried nettle with 1/4 cup olive oil and allow it to sit for 10-15 minutes to rehydrate leaves. Wash and dry kale leaves. Rip them into smaller pieces and place them into a food processor. Add basil, nettle, 1/4 cup olive oil, sea salt, red pepper flake, garlic and walnuts. Begin to blend and drizzle in remaining 1/4 cup olive oil as needed. If you are using cheese, add it before adding the additional olive oil (you might prefer using less olive oil because of the oils in the cheese). Taste your pesto. Does it need more salt? More red pepper? Alter it in whatever way will make your taste buds smile. 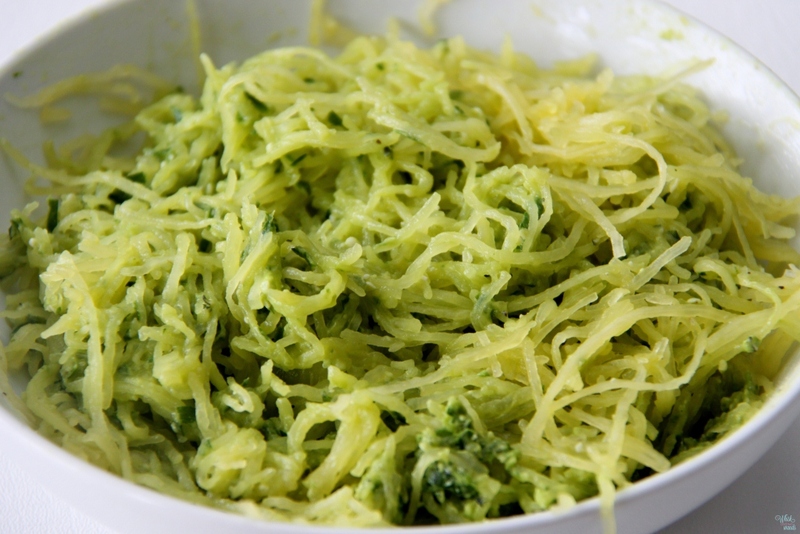 You can use this pesto on brown rice pasta, spaghetti squash, sautéed veggies, eggs, or in whatever other way you prefer. It will stay good in the fridge for 1-2 weeks, or you can freeze it for 1-2 months. Nettle (also called Stinging Nettle) is a plant that has a vast array of medicinal qualities. It is used for treating asthma, Alzheimer’s, chronic respiratory conditions, headaches, inflammation, allergies and kidney stones (along with a number of other conditions), and also supports many systems in the body (nervous system, immune system, digestive system, respiratory tract, urinary tract, urinary system, endocrine system, thyroid and the pancreas). It is also high in calcium and supports the health of our skin, nails and hair! I mean, how does this pretty plant do it all!? I don’t know, but it does… I like to keep the dried leaves on my counter and sprinkle them into salads, soups, grains dishes, eggs, along with whatever else I can throw it into! 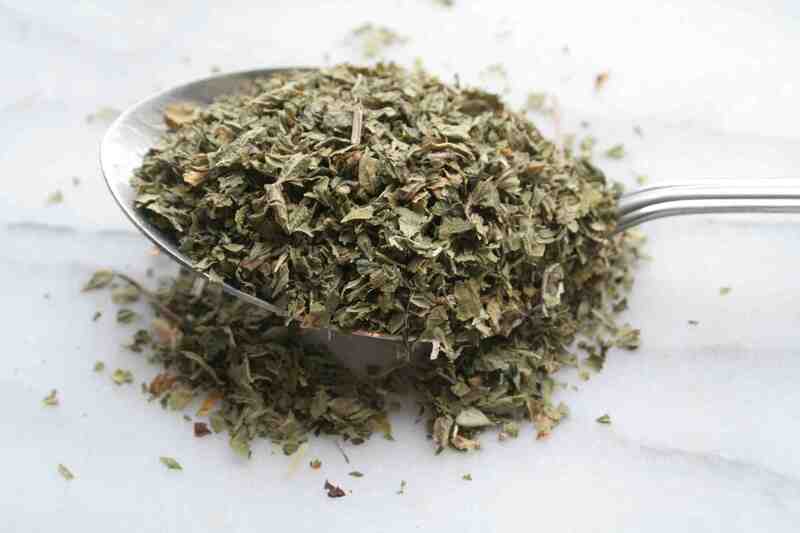 I prefer to buy dried nettle leaf from 2 sources: Mountain Rose Herbs and Frontier Herbs – the quality is best, the nettle is organic and it is grown and harvested in a way that supports the health of the plant and the earth. So, are you ready for some pesto!? Let me know how it turns out! Tags: garlic, herbal medicine, kale, kale and nettle, kale pesto, nettle, nettle pesto, nutrient dense, nutritious, pesto, raw, simple, superherb, vegan. Bookmark the permalink.